A linear equation is an equation that can be written in the forms ax + by = c or y = mx + b. If it is written in the form y = mx + b, m is the slope and b is the y-intercept, meaning where the line intersects the y-axis. 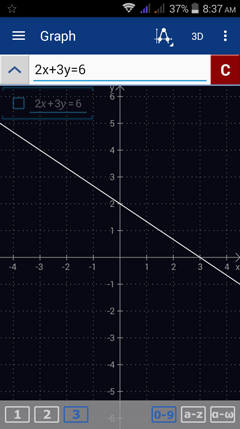 The graph of a linear equation is a straight line. 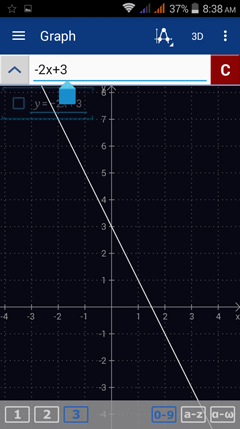 To sketch the graph of a linear function, type in the entire equation if it is written in the form ax + by = c. If it is written as y = mx + b, only type in the expression mx + b. Instant Free Download! Productivityboss - Start Here.